Construction has begun on the latest addition to Milwaukee’s lakefront skyline, a sleek curving tower from Pickard Chilton. Gilbane Building Co. and C.G. Schmidt broke ground in August on the new 32-story headquarters of insurance giant Northwestern Mutual. A 1.1 million square foot complex spread over several buildings and a landscaped courtyard, the Northwestern Mutual Tower and Commons connects the firm’s historic headquarters building to a new tower that will be among Milwaukee‘s tallest. The whole project, which is developed by Hines, is expected to wrap up in 2017. The new construction work follows demolition of a small existing building on East Mason Street. 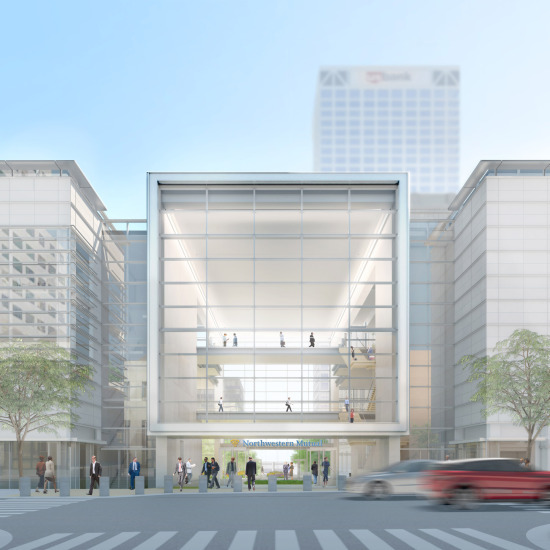 Northwestern Mutual says the new space will accommodate 1,900 more jobs within the firm. 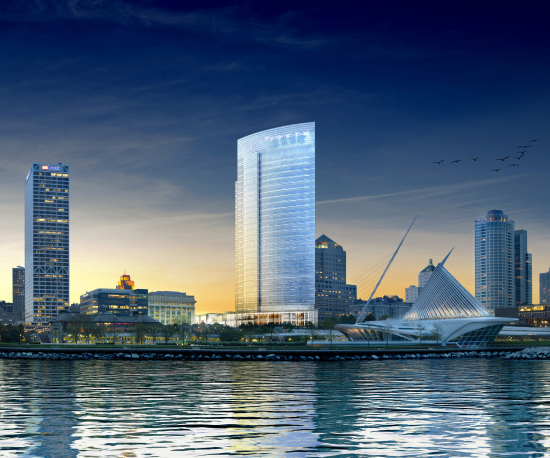 “This project will have a positive impact on both the Milwaukee skyline and the community, and we’re excited to see that now begin to take shape,” said Jon Pickard, principal of Pickard Chilton, in a statement. The design calls out to Santiago Calatrava’s celebrated art museum across the street and, according to firm leadership, aims for “sophistication.” By the time it’s built, the new downtown campus could be just one of many substantial renovations to Milwaukee’s Lake Michigan shoreline. Despite controversy surrounding its design and architectural authorship, expansions to the art museum are underway, as are plans to build tall downtown, which have stirred debate over lakefront park space in the city.